Home » Destinations » North America » USA » Space Tourism: The Next Travel Frontier? Despite the name of this blog, I have been distressingly earth bound for all of my years thus far. Given recent developments in space exploration technology though, hope is not yet lost for the dream of going into space as a tourist – without having to shell out the millions of dollars that past tourists have paid! In today’s post, I’m going to talk about a few things. I’m going to cover where space travel & exploration is today. I’m going to talk about what options we have now, and may have in the future, for getting into space as a tourist. And I’m also going to cover a few ways those of us stuck on Earth without access to a giant pile of cash can still get our space fix around the world! Huge strides are happening right now in space exploration, particularly with private companies looking at opening up space to your average person. Admittedly, right now, space tourism isn’t exactly accessible. At the time of writing, only 7 people have made it into space as tourists, all travelling with the Russian Space Agency, and all paying in excess of USD $20 million. These weren’t exactly hop-on hop-off trips either, with the participants undergoing months of training, and many of them actively running their own experiments in space. So to call them space tourists is perhaps a bit of a misnomer. As you can see, getting into space right now as a private individual is not exactly something for your average, or even moderately wealthy traveller. Plus, all these trips took place between 2001 & 2009, and despite demand from wealthy individuals, there currently isn’t a way to get into space as a non-government astronaut. Has the space tourism boom already ended? Quite the opposite! I’d argue that we’re on the cusp of space travel opening up at a more affordable (if still not exactly budget) price point. So what’s driving this? Well, put simply, private investment. Whilst massive government organisations like NASA, the Russian Space Agency and the European Space Agency are always researching and expanding their space exploration efforts, their focus isn’t exactly on getting folks like you and me into space – at least not in the near term. Their focus is on long term scientifically focused exploration missions, with perhaps the most exciting being NASA’s Journey to Mars. Other organisations though, see the potential for space based tourism as a way to generate funds and publicity for their projects. There are, I would say, three main players in the space tourism business right now – Virgin Galactic, SpaceX and Blue Origin. There are also a number of other projects underway to help more ordinary folks get into space, including the Space Island’s Group and the Mars One project. These are both somewhat in the concept phase however, and whilst I would love to think that these projects will come to fruition, the challenges they have to overcome are fairly huge. Let’s take a look at the main players with whom you have a real chance of getting into space with in the next few years. Other than flagging down a passing UFO Ford Prefect style, or signing up to be an astronaut with a government agency, getting into space is a bit tricky. But that’s all set to change in the coming years, and these are the companies with whom you are most likely to be able to travel. Part of the Virgin Group headed up by Sir Richard Branson, Virgin Galactic is planning to offer sub-orbital flights to paying passengers aboard their craft, the SpaceShipTwo. Sub-orbital means that you’re not high enough to actually orbit the earth, but as the goal is to pass the 100km line that marks the edge of space, you will technically be in space, and also experience weightlessness. Hurrah! The timeframe for this to happen has shifted multiple times, not least after the tragic accident during a test flight in 2014 where the vehicle broke apart, killing the co-pilot and seriously injuring the pilot. As of 2017, Richard Branson has been quoted as saying that commercial spaceflights should be running by the end of 2018, although I suspect this might shift. Shift or not, 800 people have already bought tickets for a voyage into space, with tickets currently on sale for $250,000. Yep, you can buy a ticket right now, and join that line. Admittedly, $250,000 USD isn’t exactly small change, but it’s a lot less expensive than the $20 million that previous space travellers have paid. For your money, you get three days of training at Spaceport America in New Mexico, a 2.5 hour flight into space, a somewhat incredible view and a period of weightlessness. Not too bad. Unlike Virgin Galactic, Blue Origin plays its cards somewhat close to its chest. Owned by Amazon billionaire Jeff Bezos, Blue Origin is a private company which initially appeared to be focusing on sub-orbital flight, much like Virgin Galactic. Unlike Virgin Galactic though, which uses a combination of a normal plane and a rocket plane to achieve the necessary space altitude, Blue Origin are using more conventional rocket technology, with a focus on re-usable components that cut the cost of launches. Other than the spacecraft, the forecast experience is largely the same – a sub-orbital flight that comprises a few days of training in Texas, a journey lasting around 11 minutes to up beyond the 100km line, weightlessness and some incredible views. The technology to do this will look familiar to any fans of existing space flight technologies, including the capsule that returns to Earth by parachute, meaning that there are fewer technical hurdles to overcome. That said, a timeframe and pricing have not been set for the launch of Blue Origin’s New Shepherd program, and the sign-up page has vanished as of early 2019. Fingers crossed this comes back! Perhaps even more excitingly than the New Shepherd program is its successor – the New Glenn program. This should offer longer duration, possibly even orbital flights, although details are currently sparse on the ground, with operations unlikely to start before 2020. We do know however that priority on these trips will be given to New Shepherd customers. Last in our trio of serious contenders for firms that will likely take your money and send you into space in the next few years is SpaceX. SpaceX is owned by Elon Musk, who is particularly famous for being the CEO and co-founder of Tesla Inc, the electric car and battery manufacturer, amongst other things. SpaceX largely focuses on commercial launch capabilities, with a particular focus on re-usable rocket technologies that bring down the cost of putting payloads into orbit. They’ve been hugely successful in this field, with multiple achievements, including being the first privately funded company to successfully launch, orbit and recover a spacecraft. They were also the first private company to send a spacecraft to the International Space Station, and have flown ten missions to date to the ISS. Whilst the majority of their work is on commercial and government contracts for putting things like satellites into orbit, some recent developments have put SpaceX firmly on the space tourism map. First, in 2017 they announced that they had been contracted by two private individuals who want to go on a trip around the moon. This is currently due to launch in 2018, and will be by far the most ambitious space tourism endeavour to date by any company. Next, SpaceX is actively working on technology to colonise Mars, with a lofty goal of setting up a permanent colony on the red planet, home to over a million people, within the next 100 years. Whilst the current estimate of cost for such a ride is in the region of $10 billion USD per person, SpaceX is aiming to bring that down to $100,000 through the development of their Interplanetary Transport System. This won’t happen in the near-term, but by the end of the century tourism to Mars might be a real possibility, with lunar and earth-orbital flights the norm by then. So those are the main players who, in my opinion, have the most realistic chances of taking you to space in the coming decade. But they aren’t the only players in the space tourism arena! Here are a few others to be aware of who might give you a chance of getting off Planet Earth. Bigelow Aerospace: Bigelow Aerospace are actually a pretty major name when it comes to space technology, and if you ever happen to find yourself in a hotel on the moon or floating around the Earth, it’s likely going to be inside one of their inflatable habitats. This isn’t theoretical either, they’ve got an inflatable capsule attached to the International Space Station already undergoing feasibility testing. Owner Robert Bigelow made his fortune in hotels, and he sees no reason why we can’t have them in space too. Mars One: Mars One is an organisation with a goal of establishing a permanent human colony on Mars by the year 2035. Announced in 2012, it encouraged members of the public to sign up for the one-way mission, which resulted in over 200,000 applicants. That was whittled down to 100, and over 2017 this is planned to be reduced to a final 24 candidates. Unfortunately, the project is dogged by criticism, particularly around the technical and financial feasibility of their plan. Still, it’s one to keep an eye on in case they miraculously pull it off and need colonists! Boeing: Boeing are currently under contract with NASA to build a crew transport vehicle that would be compatible with a number of rocket systems, primarily for the purpose of shuttling astronauts to the ISS. It’s currently due to start those flights in late 2018. As part of their contract, this CST-100 Starliner was specified to include one seat specifically for the purposes of space tourism, allowing one passenger to just tag along for the ride as it were. For a price, naturally. That price is currently unknown, although the original goal was to have it price competitive with the Russian Space Agency, so don’t expect it to come under the tens of millions mark! Ok, so based on all the above, you’re probably realising that space is still a pretty tough place to get to right now, and even over the next few years it’s still going to be pretty darn expensive for a fairly brief jaunt. Don’t fret though. Planet Earth is a pretty cool place, and there are a lot of space-related activities you can take part in without re-mortgaging your house and strapping yourself to a rocket . Here are a few place you can learn about space and space travel in the meantime! Let’s look at these. Whilst you might not get into space right now, you can still visit a spaceport and dream of the future! I’ve picked three spaceports for you to think about visiting. Spaceport America, USA. 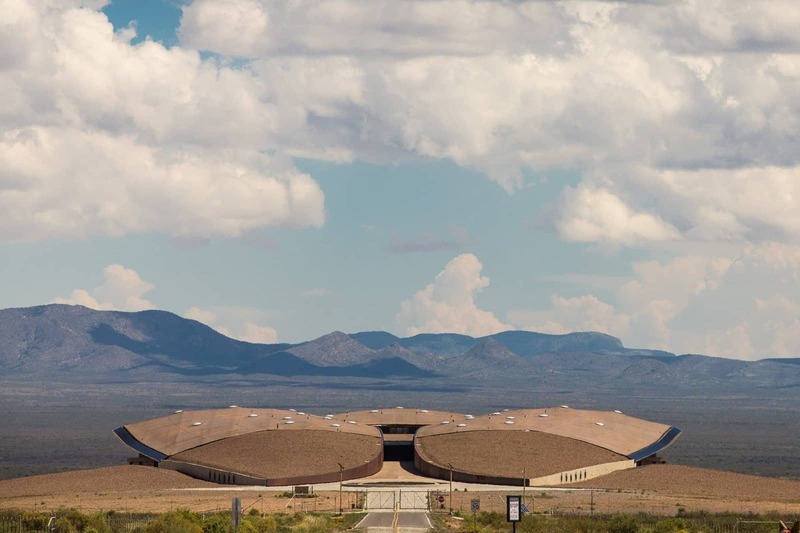 Set in the high New Mexican desert, Spaceport America is the world’s first purpose-built commercial spaceport, meaning it’s designed for commercial users. Yes, people like you and me. It’s the home base of Virgin Galactic, and is where that company will be operating from when they finally launch their space tourism flights. SpaceX also conduct some of their testing here. Unfortunately, you still can’t board a space trip here, but it’s a worthwhile place to visit, if only to get a tantalising glimpse of a possible future. Kennedy Space Center, USA. Found in Florida, Kennedy Space Center is the main launch pad for NASA’s operations, and is where Apollo and Space shuttle launches took place. It’s a massive facility, spanning 144,000 acres. There’s a visitor centre on site, where you can learn all about NASA and it’s space operations, see an actual space shuttle and even experience a simulated space shuttle launch. Kennedy Space Center is still very much an active launch site, and you can also come here to watch rockets blast off into space – see their website for the launch schedule. Baikonur Cosmodrome, Kazakhstan. One of the world’s most famous spaceports, and certainly the oldest and largest, Baikonur Cosmodrome is where the majority of Russia’s space program has operated from, including the first man into space, Yuri Gagarin. It’s still very active, and you can in theory visit, however prices are steep for a one day tour ($700+), and can only be arranged via a specialist tour operator in a complex process that needs to be booked weeks in advance. As well as active space ports, there are a lot of museums around the world dedicated to sharing man’s activities in space. Here are a few of the best. Space Center Houston, USA. 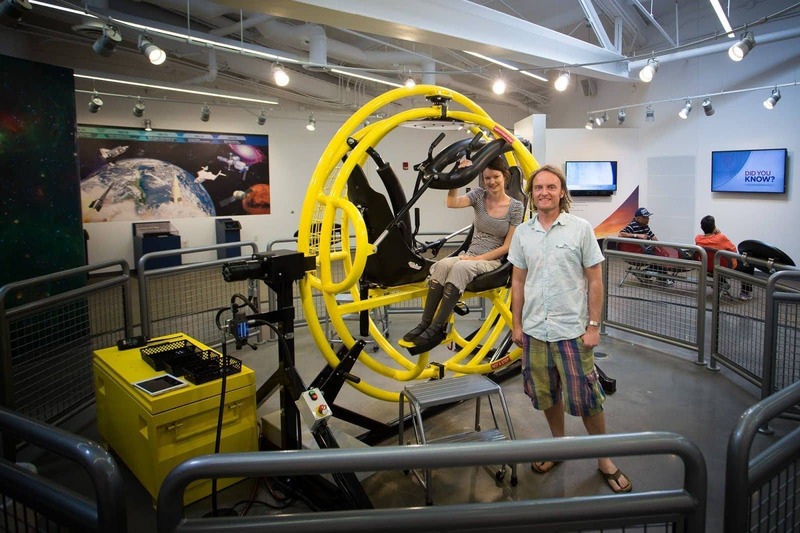 The official visitor centre for NASA’s center for human spaceflight activities, Space Center Houston is an excellent place to come and learn all about NASA’s efforts around getting people into space. It has a number of artifacts from our explorations to date, including a lunar module replica and various actual capsules that have been into space. 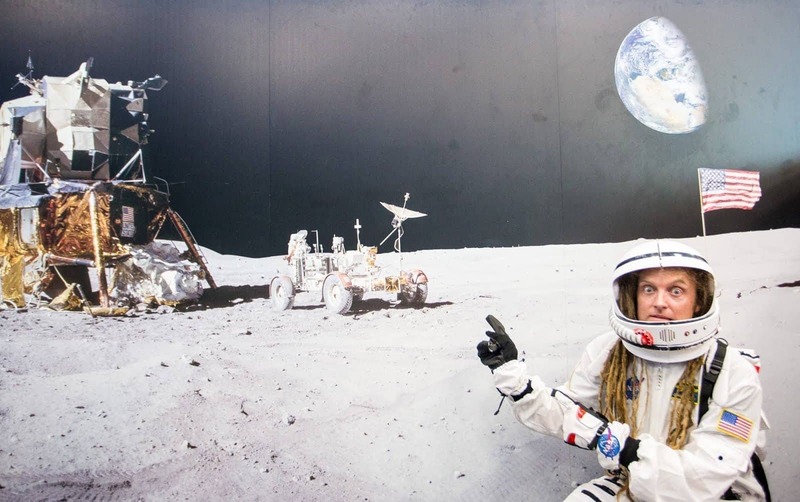 Tip – if you’re visiting a few sights in Houston, you can save money by investing in a CityPASS card which will get you into the Space Center as well as a number of other attractions in the city. New Mexico Museum of Space History, USA. Found in Alamogordo in southern New Mexico, the five storey New Mexico Museum of Space History is full of information about man’s efforts to get into space, with everything from information on early rocket technology through to more modern day exhibits including a space shuttle landing simulator. It’s also home to the International Hall of Space Fame, a planetarium, and offers fantastic views across the White Sands National Monument. Smithsonian National Air and Space Museum, USA. Found in Washington, D.C., this enormous museum is home to the world’s largest collection of historic aircraft and spacecraft in the world, including the Apollo 11 module and clothing worn by astronauts. With over 60,000 objects on display, you won’t run out of things to look at! The National Space Centre, UK. Both a museum and an educational resource, the National Space Center in Leicester, UK, is home to six interactive galleries and the UK’s largest planetarium. A highlight though is the 42 metre high Rocket Tower, which houses a number of upright rockets, really giving you a feel for the enormity of these machines. The U.S. Space and Rocket Center. Found in Huntsville, Alabama, right next door to NASA Marshall. The U.S. Space and Rocket Center has loads of information on the history of space flight, including two full size Saturn V rockets! 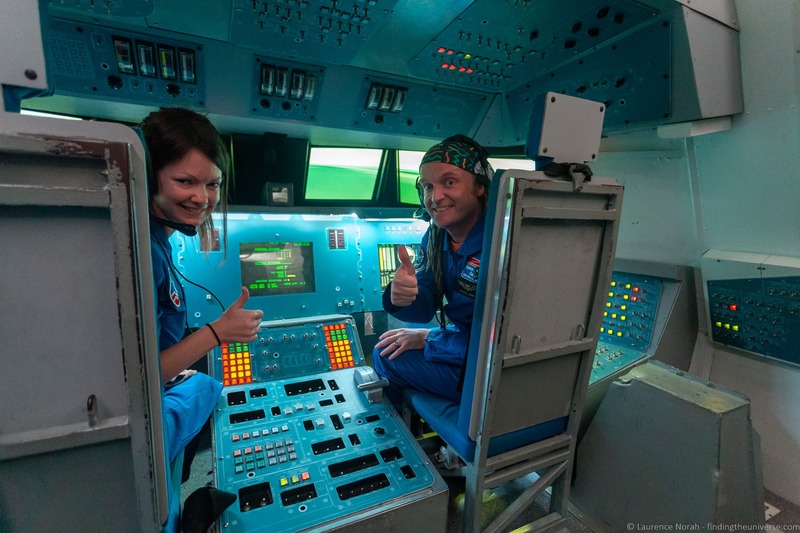 This is also where you can attend Space Camp, a hands-on multi day training program for all ages, which will take you through a range of training similar to that which real astronauts do! We may be currently fairly stuck on the planet, but that doesn’t mean we’re not still hurtling through space, a small rock in a vast galaxy. Here are a few ways to help remind ourselves that there’s more out there than our horizon. Meteor Craters. On our journey through space we regularly bump into errant lumps of space debris – around 100 tons a day in fact. Most often these lumps are so small (dust-specks really) that they just burn up in our atmosphere, creating beautiful shooting stars. However, anything larger than a marble has a chance of making to earth, although there are a lot of factors at work. According to NASA, it’s the lumps that are around the size of a football field and up that make the most impact, and one of these hits us every couple of thousand of years. They can cause significant damage and leave a lasting impact. 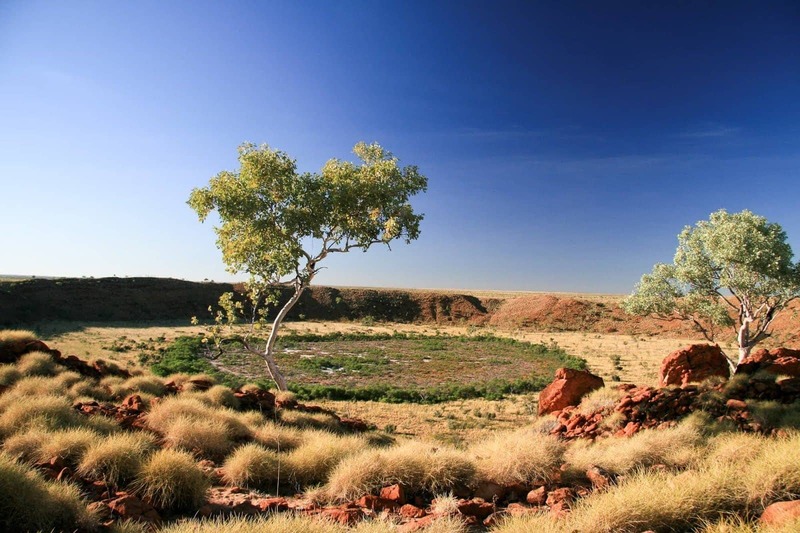 Two worth mentioning that you can visit are the aptly named “Meteor Crater” in Arizona, USA, and the Wolfe Creek Meteor Crater in Western Australia. Both of these are around a kilometre in diameter, meaning you can see the whole structure with the naked eye and really get a feel for the force required to create such a hole. Of course you can also find smaller ones all over the world. Star Gazing. You might not be able to get to the stars, but that doesn’t mean you can’t appreciate them. I always find that just lying back and staring into the vastness of space from a really dark location is a very powerful experience. You need to be somewhere far away from light pollution to get the best views of the night sky – there are dark sky preserves (and even festivals!) where you can get a great view, otherwise, head as far away from the lights as you can and just look up. How about if you can’t get into space, you try just looking at it through a really big magnifying glass and pretend you’re there? It might be as close as you can currently get to space for free, whilst also being wowed by humanities technological accomplishments. Below are four locations around the world where you can learn all about the art of looking into space. Of course, there are many more sites around the world and you can find a list of some of the major telescopes here although not all can be visited by the public. The Very Large Array, USA. Far out in the New Mexico wilderness, the Very Large Array is one of the world’s largest and most impressive radio telescopes. Unlike an optical telescope, which look at visible light waves, a radio telescope looks at radio waves, and from that we can learn all sorts of things from how black holes are formed through to the creation of the universe itself. 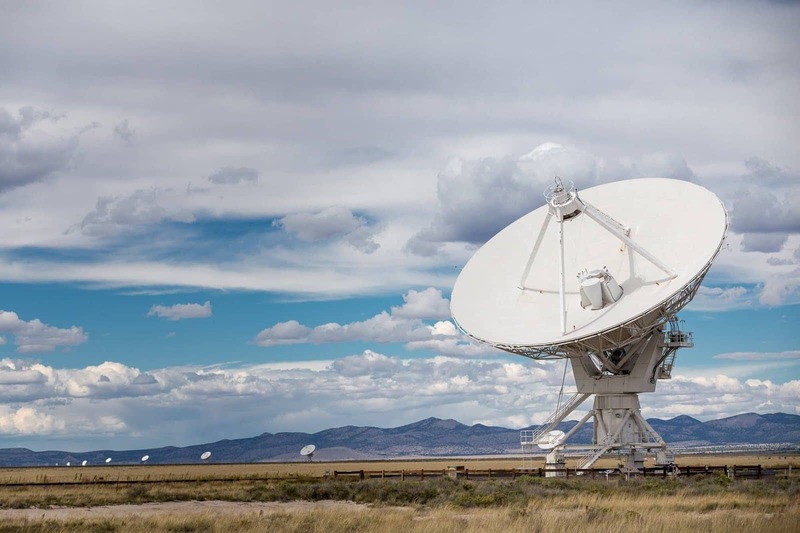 These radio waves require a very large telescope, which is why the VLA is actually made up of 27 dishes, which work together to capture radio waves. There’s a small visitor centre and self-guided walking trail, and there are guided tours on the first Saturday of the month. See the official website for more details. Jodrell Bank, UK. If you’re in the UK, then a trip to Jodrell Bank is a good option for viewing impressively large radio telescopes. In fact, Jodrell Bank is home to the world’s third largest steerable radio telescope, as well as a number of other active telescopes. There’s a visitor centre where you can learn all about the telescopes, and all sorts of other space-related things. The Very Large Telescope, Chile. Way up high in the mountains of Chile is the world’s most advanced visible-light astronomical observatory – the aptly named “Very Large Telescope”. Operated by the European Southern Observatory, this is the most impressive optical instrument in the world to date, consisting of four main mirrors that are over eight meters in diameter, as well as four 1.8m diameter mirrors. These work together to create a final image, and the telescope is powerful enough that it would be able to make out a cars headlights on the moon. It’s fairly remote, what with it being on a mountain top in Chile, but you can visit – check here for more information on tours. Green Bank Observatory, USA – At time of writing, Green Bank Observatory is home to the worlds largest steerable radio telescope, the Green Bank Telescope. Constructed in 2001, it’s one of the newest US telescopes, and with a total collecting area of 2.3 acres, is certainly impressive to behold. You can take a tour of the observatory, and there are also weekly and monthly events at the site. 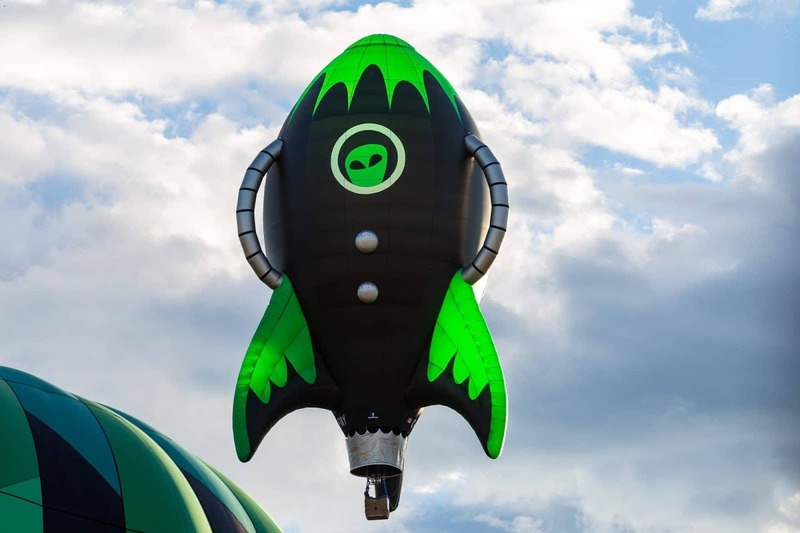 If you’re really desperate to get off planet, you might want to frequent a location which has a history of extra-terrestrial activity such as UFO sightings. Whilst E.T. is yet to make formal contact, who knows, you might get lucky and have the chance to hop on a passing spaceship! Roswell, USA. 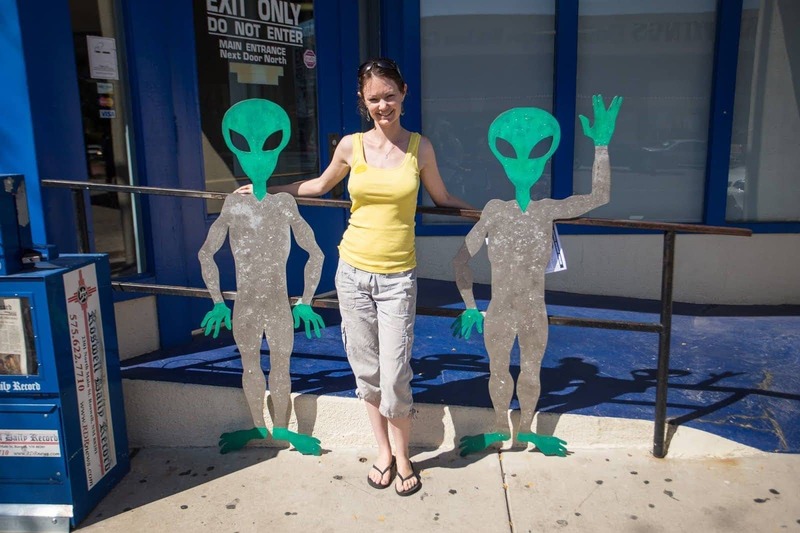 If you want to learn about aliens, then the town of Roswell in New Mexico has definitely got to be on your list. It became famous as the alleged site of a huge government cover-up of a supposed alien spaceship crash at a nearby ranch property, and the town has since embraced it’s position as the world’s most famous UFO hotspot. 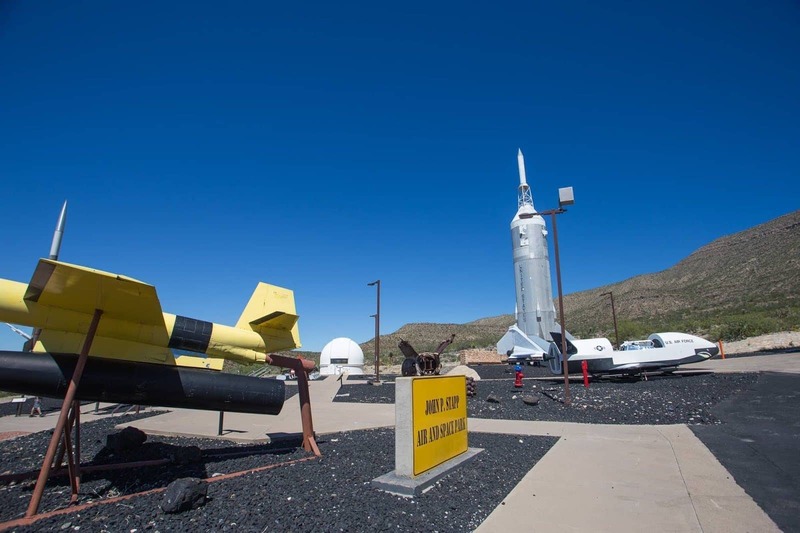 There are a number of alien themed attractions here – we’d recommend visiting the Roswell UFO museum as a good starting point. El Enladrillado, Chile. Central Chile is well known as a UFO spotting hotzone. So much so in fact, that the country’s national tourism board established a UFO trail, a 30km long designated trail in the Andes mountains that centres around the town of San Clemente. This is definitely a good place to come to spot UFO’s, although the national tourism authority is keen to stress that a sighting isn’t guaranteed. Nullabor Plain, Australia. When I was travelling in Australia, I had a memorable evening out in the outback on the vast Nullabor Plain with a chap who was convinced he was regularly visited by aliens. He might have been on to something of course, with this region of Australia being particularly famous for UFO sightings. And if you don’t see a UFO, fear not, the star gazing here is pretty epic too! HR Giger Museum, Switzerland. If you prefer your aliens of the fantastical science fiction type, then a visit to the HR Giger museum in Gruyères, Switzerland, should definitely be on your list. It’s home a large collection of works by Swiss artists HR Giger, who famously created the monsters from the sci-fi classic horror movie Alien (and its sequels). Definitely one for the sci-fi fans. Well, that was a lot about space. 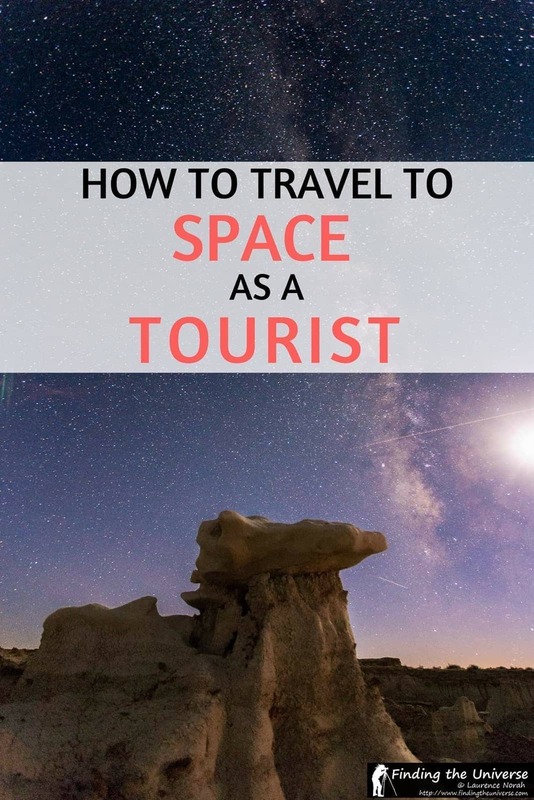 Hopefully you’ve learnt a bit about your options for getting into space as a tourist, as well as some slightly more cost-effective ways to get your space fix on! 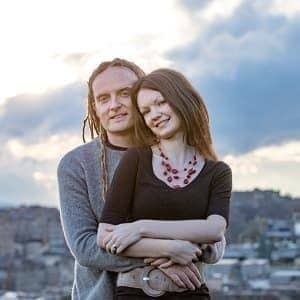 Here are a few resources that you might find useful. 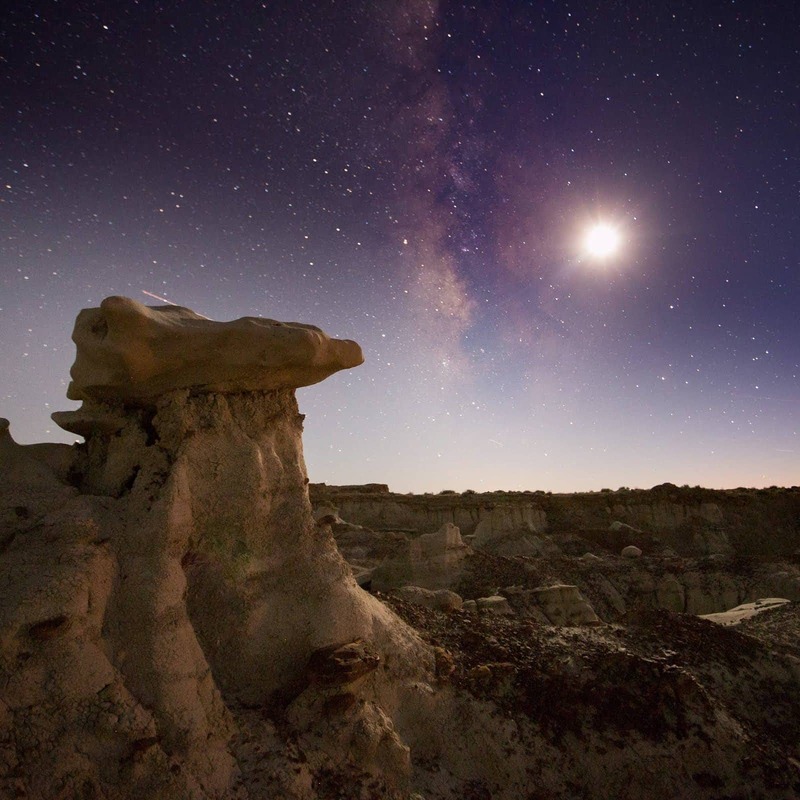 Our favourite sights along the New Mexico Space Trail, USA. Plus a guide to attending the Albuquerque International Balloon Fiesta if you’re in New Mexico. John Glenn’s memoir, to give you an insight into what it was like to be the first American to orbit the earth. Chris Hadfield’s book “An Astronaut’s Guide to Life on Earth”, helping you understand how to make the impossible a reality, which seems like a good place to end this post! Well, that was a lot to write about space travel and space tourism! We’re not quite there yet, but with the pace of developments I see no reason why, in the coming years and decades, that I won’t finally be able to realise my dream of heading up into space for real. Let me know in the comments if heading into space is a dream of yours!